Mumbai Marathon is just over and I thought I should catch you when the iron is still hot. If you were motivated by all your friends running marathons but feel underconfident to start. If you are new to the running world or contemplating it. Have been contemplating forever? Then this post is for you. The ones who contemplate too much are like waves that never make it to the shore. So go ahead, take the plunge. Unless you start you will never learn to swim, will you? 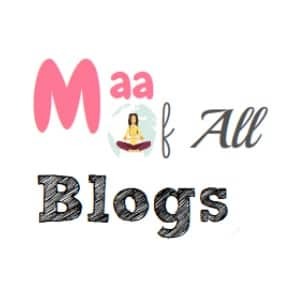 This blog is to hopefully move you from the couch and into some action. Here are some tips from Eby Reynold, who was a national level athlete and now is a trainer with the Striders Group. 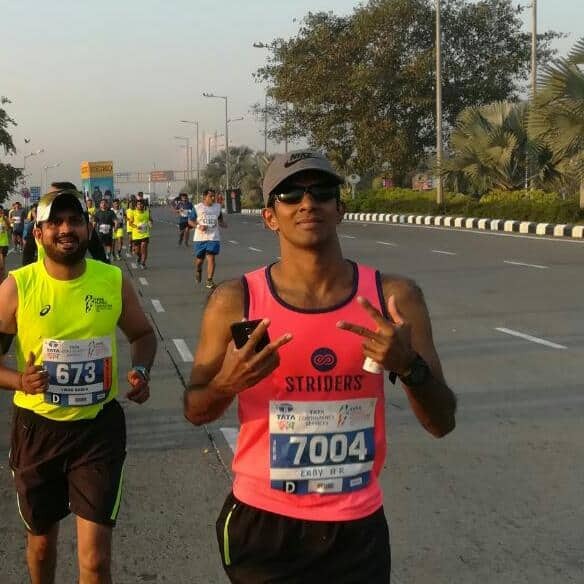 Striders is a running training group with its presence in over 12 cities in India. He is passionate about training and coaching runners to improve their health & well-being and to take the best out of them. 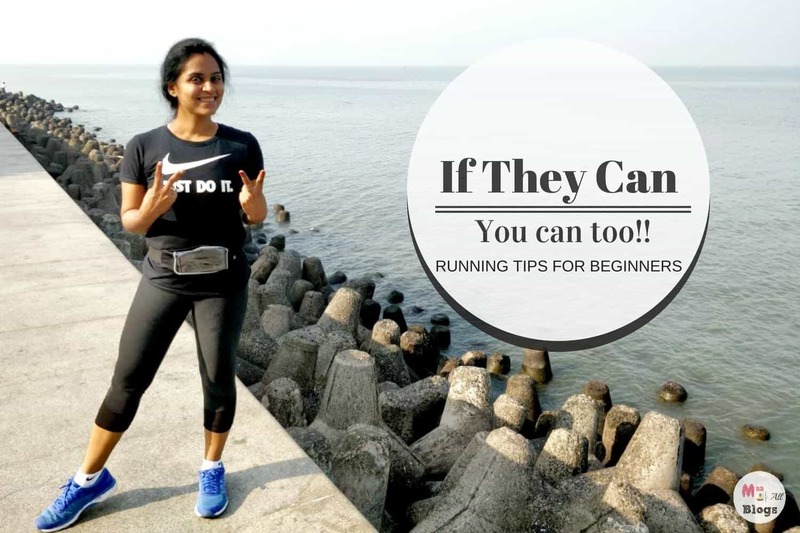 Any Running tips for beginners and people who are still planning to start? Everything needs a start, so get up early and get out of your bed, that’s the first thing you should do. Take the motivation out from your fellow friends. It is not like running only is the best way to stay fit, but being active in your day to day life. Present yourself in front of others to give and take the best from them. “Run miles and give Smiles”, should be your motive. 1. First, you have to set a goal, after setting the goal you have to start training for it sincerely and regularly. 2. Start your training 3 days a week and keep one-day long run, long run start with 3 to 4 km combination of walk-jog. 3. Once you get used to 3-4 kms, you can increase mileage. When you go for a long run don’t think about timing, try to cover the distance with less effort. 4. Go gradually with the training plan. When you start your training thrice a week, take alternate days rest. 5. Monitor hydration, drink at least 3 litres a day and maintain a healthy diet. 6. Go for a trial run to know where you are. If you are planning to go for a half marathon. Try 10kms first, it will help find out how much fit you are for the half marathon. If you find you are not fit a or marathon, increase the intensity of the training slightly. 7. Take proper recovery; keep a day as rest in a week and if you do high intensity work out on one day take easy on next day of training. 8. Do proper stretching before and after work out in order to avoid injury. 10. On the D-day follow the target pace which was set in the training sessions. Don’t try anything new. Don’t push beyond your limit. Your health is your first priority. Also thought to inspire you further we will share the stories of these first-time runners and how they went from contemplation to their first run. Jayna Gandhi is an investment professional and financial advisor with a passion to improve financial fitness of every one. Her first formal run was 5 kms at ILF&s 2017. 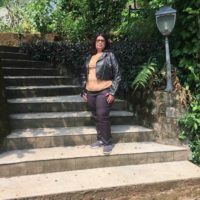 I started running around four and half month ago first time in my life with the obvious intention of losing excess weight and improving physical fitness. One fine day I was lazily walking in our complex somewhat early in the morning when a group of people from my complex showed up (some I knew, some I did not) and they were seriously and religiously running. Out of my utter curiosity and try out how it feels while running, I attempted to run with a few of them for a short distance. I was extremely astonished and supremely impressed with their dedication, devotion, rigour and tenacity towards fitness, exercise and running and felt ashamed of my self for missing out on this wonderful fitness regime so far. At the same time, I was hugely motivated too to join this wonderful group of runners. I decided contentiously to give it a try, at that time I was barely able to run for 50 meters. I must admit that it was very difficult and gruesome for me in those days. However, today I am very happy, I have improved my endurance and fitness to reasonably. My network of friends has expanded through my co-runners. My first race was a 5 km run at IL&FS run for fun held on 12th November 2017. The major motivation is a sense of achievement and satisfaction you get post running. Running is a super confidence booster for me, it gives me immense pleasure, The best thing I like about it is it is a focussed activity.The most importantly it has created positivity in my family I wish running should never end. Vidusha Parashar is a mom to two kids and a nutritionist. 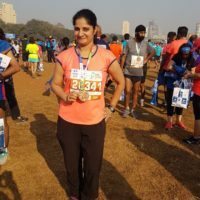 She started running in Jun 2017 and completed her first 21 kms in Tata Mumbai Marathon, 2018. Since childhood, I was more into sports and in school team and all. But then gradually left everything as then my priority was my career. I am a fitness freak but was not into running only used to walk every day. Whenever I used to see people running I used to wonder ‘ I wish I could run ‘. Then one day I was walking and one of my friends suddenly said come run with me. I joined in and I could run easily for 3 kms and I enjoyed the run. It’s then that I felt if I can get the training I can easily do 5 kms. I went on running on my own for a few months and then found out about Striders who train in my building and joined them. Within 3 months I could see the change in my body. My stamina had increased and I feel healthier and fitter. Its been 6 months and I am looking forward to my first 21km run now. I am really excited and nervous whether I will be able to do it or not. Running helps you gain confidence and you feel great about yourself every time you complete a run. In the meanwhile, I have done two 10 km runs easily in 1 hr 10 min. Any Tips for people who are planning to start? 1. Don’t worry much about if you will be able to do it or not? Just show some courage and go ahead. 2. Try to achieve small targets first like 5 kms and then you will gain confidence to achieve more. 3. Do lots of walking jogging in the beginning. 4. Sleep well and eat well and take care of your diet. 5. Go for a comfortable shoe. Dr. Shruti Jaiswal is a mom of a two-year-old and a Parenting Coach. Her first official run was a 5 kms run at Pinkathon, December 2017. I always wanted to run because when I saw people running it inspired me. They were challenging themselves, it was a battle of personal grit and determination and going beyond the mind. 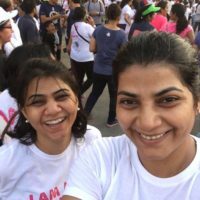 I ran my first 5k in Pinkathon in December 2017. What motivated or motivates you? Currently, the lack of my fitness motivates me. Any tips for people who are still planning to start? Just start… it might seem daunting at first but if you start small (like I did) and persist; small jogs — you will find your determination and continue running. Jayna, Shruti, Vidusha or even Eby all started from somewhere and you can too. They are people of different calibres and from different walks of life but the one thing they have in common is persistence and the will to change. It doesn’t matter where your starting line is, or if your friend is better, running is a journey of your growth and the only competition is you :)! This is really motivating and inspiring. Staying fit is must for every individual and running rejuvenates oneself for sure. On the days, I am not running. I am lazy as well. This is a motivating and useful post for beginners like me. Everything needs a start and I should start soon! What a wonderfully inspiring post. Great going. This has some great tips I must say. Wow yaar so many inspiring story, I too did marathon for max bupa last year Ans this year for organ donations . Your tips are really useful. Superb to hear that Sneha.You ran and for a good cause :)! This post motivates me to start with running. I am doing some “baby step” for now.